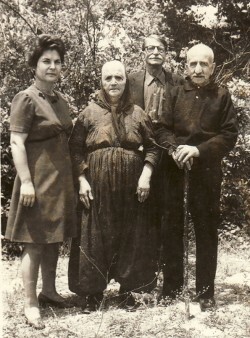 Above: My wife, Ekaterina, with my parents, Sultana and Dimos. The fellow in the background is a horiano. 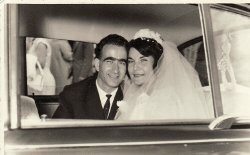 Above: With my wife, Ekaterina, on our wedding day. 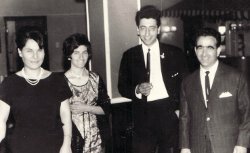 Above: With my wife, Ekaterina, and our koubari, Sarandos and Panagiota Tiropolis. 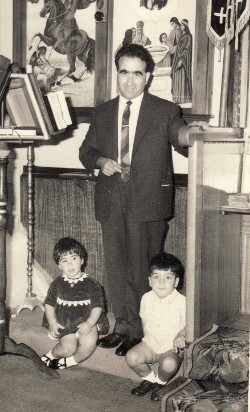 Above: With my children, Anna and Dimos, at our Church in Wellinton, Evangelismos tis Theotokou, where I have been a church service chanter for many decades. 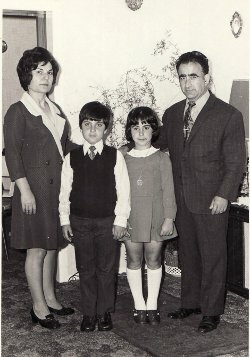 Above Right: The Gougoulas family: my wife, Eketerina; and our children, Dimos and Anna. 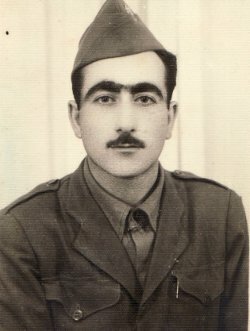 Above: Megalohori. 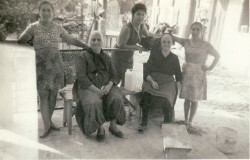 L-R: my sister, Maria; my mother, Sultana; my wife, Ekaterina; a neighbour, Vayia; and my sister, Zaharo. 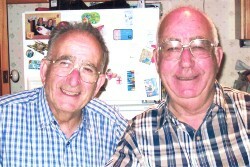 Above Right: With my brother, Ioannis.